Gooch Group Specialist Cleaners is a Cheltenham based family run cleaning company which has been cleaning up Gloucestershire since the early 90's. Our specialist cleaners are fully trained, qualified and insured. Our phone lines are open 24/7 in case of emergencies. Our Carpet Cleaning Specialists are fully trained by one of the biggest and most well-known carpet cleaning suppliers in the world. Gooch Group Ltd are a specialist company, we will consider the texture and the wellness of the fibersin the carpets to ensure we use the right product for each carpet. To ensure your carpets are not damaged, shrunk or bleached by a random cleaning company who may not be trained, call or email Gooch Group Ltd today. No window is too small, or too big. 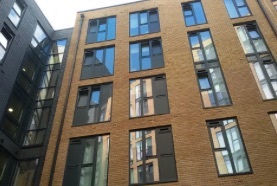 We offer both traditional and waterfed Window Cleaning services in Gloucestershire and the surrounding areas. Commercial Window Cleaning is our specialty, we have access to a wide variety of access machinery so we can reach unbelievable heights. If you are looking for a reliable, well trained, insured and trustworthy window cleaner for either domestic or commercial properties give Gooch Group Ltd a call today. We’ve been cleaning windows in Gloucestershire since 1990. Pressure Washing is a service that can be used in so many ways from cleaning driveways, patios, block paving to fascia’s and soffits. 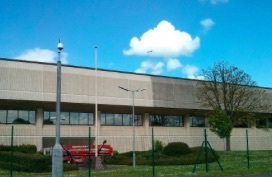 We have worked on some incredible properties recently pressure washing the building exterior and outdoor car park areas. One job in particular we had 2 members of staff on full-time for 6 weeks simply pressure washing the exterior. We not only got some great before and after photos but the customer was over the moon with the clean. Road Sweeping is one of those jobs that everyone enjoys. It’s a safe way of keeping your premises looking clean and tidy. We have access to a wide variety of road sweepers for jobs that have a time limits, for example we work overnight road sweeping the well-known horse racing centre in Cheltenham picking up rubbish and tickets before the racegoers arrive back in the morning, leaving us roughly 6 hours to road sweep the entire outside area. 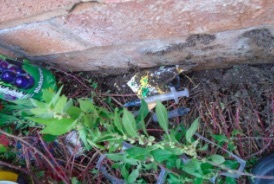 Every day we get phone calls asking us to remove needles from public areas including libraries and children’s play grounds. We treat needles as an emergency and will do everything we can to clear them up as quickly as possible. Our teams are fully trained and insured and will wear suitable PPE to safely pick up and remove the needles, they will place the needles into a sharps bin and disposed of correctly. We offer many trauma cleaning services including cleaning up bodily fluids. 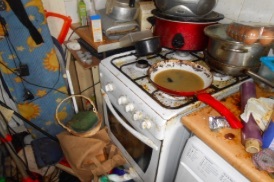 Don’t be embarrassed, however bad the property is we can clean it for you, even if you don’t live nearby. 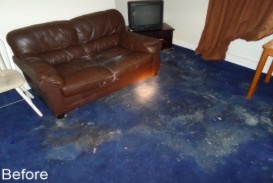 We have a team of cleaners that specialise in the trauma cleaning jobs. They go to trauma cleaning jobs on a day-to-day basis and have seen absolutely every situation possible, so please do not be embarrassed to call Gooch Group Ltd for more information on how we can help you, or your family members out. 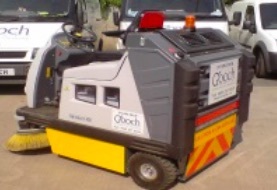 Gooch Group Ltd is a family run business which was started by Colin Gooch in 1990. He has been supported by his family Maggie, Sam and Danielle and over the last 26 years the business has gone from strength to strength growing steadily each year. Gooch Group Cleaning Specialists are based in Cheltenham, but all over Gloucestershire and the surrounding areas. IPAF qualified meaning we are able to use a wide range of access machinery including mechanical booms, scissor lifts and tracked booms. IOSH qualified and we can provide risk assessments and method statements for any job we will be undertaking. We are members of safe contractor, federation of window cleaners and Which Trusted Traders. Designated account managers, meaning you deal with the same person enabling them to get a good understanding of your needs and to give you the best service possible. Emergency call out service with a manned telephone line 24/7. Gooch Group Ltd is committed to being a sustainable business and all products, equipment and stock is sourced from other businesses in the UK. Where possible all cleaning products used by Gooch Group Ltd are biodegradable and environmentally friendly. We endeavour to recycle where possible items from property clearances. We have the facility on site for cardboard baling and all metal is separated from general waste recycled. Any items from property clearance which are suitable for re-use are donated to one of our local charity partners. This year all goods will be donated to The British Red Cross.